Following company’s recent success and NATEK Slovakia being recognized as Best IT Outsourcing Company 2018 by EU Business News, we used the opportunity and managed to sit our CEO down for few minutes and ask him some questions. 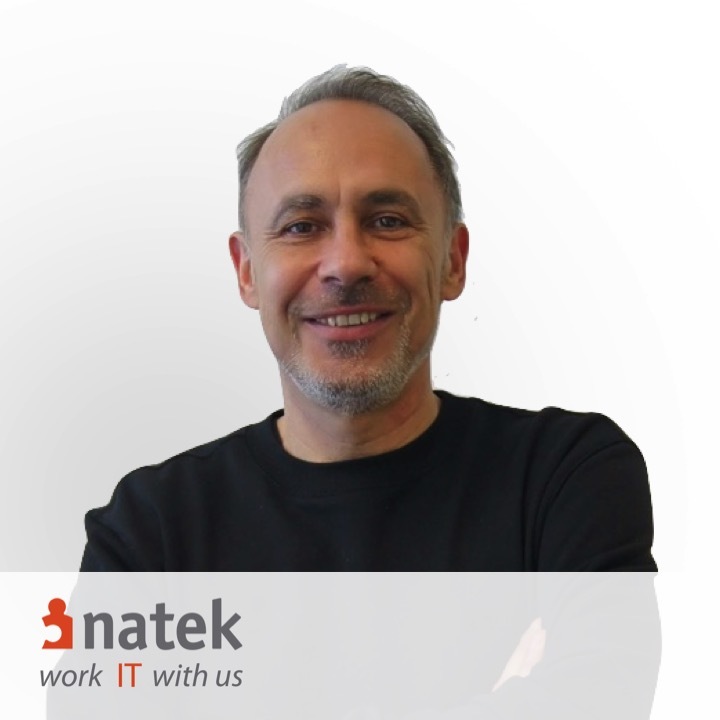 Read what Jean-Michel Namand had to say about the reasons for this achievement, the current situation on the market and NATEK’s plans for the future. Firstly, how does it feel to have won the award? What do you believe are the reasons behind the success? We owe our success in Slovakia to the extraordinary commitment of all our employees and especially the business model of our Kosice Delivery Center. It has been so successful that we are planning to deploy this model in other countries as Poland and Bulgaria. How in few sentences would you describe NATEK, our clients and the services we offer? We are providing IT Outsourcing and Consulting Services in Central and Eastern Europe. We currently operate in four countries: Slovakia, Bulgaria, Poland and the Czech Republic and we specialize in delivering IT solutions to some of the biggest international banking and insurance companies as well as the biggest players from telecommunications and IT sectors. What is the company’s mission and the steps it takes to achieve this? Our mission is based on helping our clients to achieve their ambitions within their IT organizations. Having said that, we pay special attention to a thorough analysis of our client’s needs and their plans. What differentiates NATEK from the competitors and marks it out as the best possible option for the clients? First of all, our flexibility. We can support our clients at all stages of the project and we are able to create tailored solutions suiting their needs. CEE location allows us to leverage from the virtuosity of IT specialists and propose the best value solution in terms of quality and cost-effectiveness. We have been in this region for the past 15 years and that certainly allows us to better understand its trends and the future direction. What trends you are seeing in the industry currently? Are there any key developments specific to the Central European region? CEE is already a well-established nearshoring center and it is going to be increasingly more competitive due to the better quality of delivery. CEE’s outsourcing potential is developing at a fast pace and this sector is going to have more and more needs in terms of high quality IT services. What are the main benefits to being based in the Central European region, in your opinion? Are there any benefits specific to this region in particular? First of all, there is excellent communication with Europe and the rest of the world. The high quality of services that we are able to provide largely depends on the high-skilled and educated workforce, able to collaborate with multinationals. What is the internal culture of NATEK? We are already a grown-up organization, yet we always say NATEK will never lose its spirit of a start-up. We understand the businesses we work with. On its board, NATEK has managers who gained experience working in various industries including IT, finance, sports or media. A wide range of professionals allows for a more effective seed of knowledge to junior and mid-level staff. We also invest in their education as well put a lot of attention to induction processes, materials, and tools which facilitate easier communication with teams across various CEE countries. What does the future have in store for the company? We are planning to expand our trade offices to the Western Europe and the US and work more closely with clients from Switzerland, the Netherlands, the United Kingdom as well as USA (e.g.Texas). Within the Central European region, what developments do you foresee and how will NATEK adapt around these? How will major changes such as Brexit affect the company specifically? There is still a lot of space to grow for IT outsourcing services in Central Europe compared to, for instance, US where companies are outsourcing 50 – 70% of various IT services. In the CEE the ratio is still around 20-30%, and I strongly believe that Europe will eventually grow into those numbers and become a global not only outsourcing but also outsharing center. This form of cooperation is much more than outsourcing as you and your partner work together on a solution. I do not foresee any major effect of Brexit on our operations. Rather it may lead to further growth or nearshoring and offshoring business in countries like Poland and Bulgaria. In regards to the future of our industry, NATEK believes in the high potential of the EU. Its’ strength lies in companies’ ability to balance quality and costs and in the approach of IT specialists, who are not only highly skilled but also engaged and devoted to doing their best. Go to Central Europe Business Awards Magazine and read the article.